6. 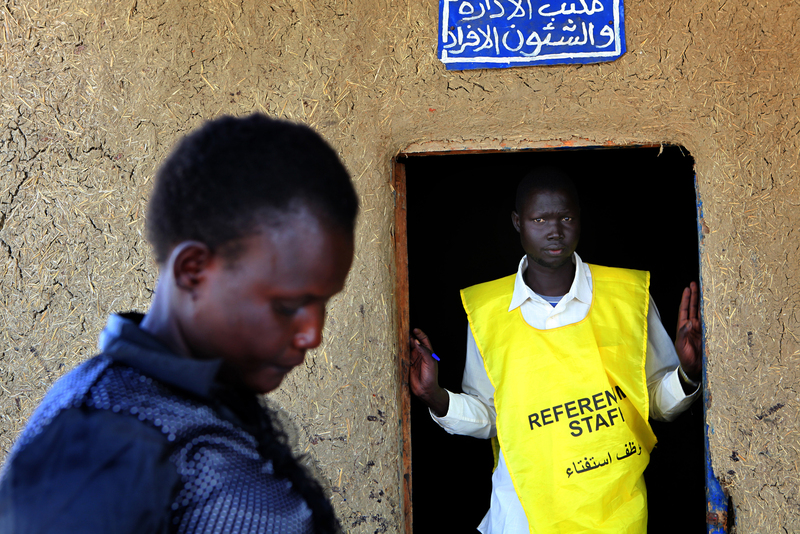 South Sudan Referendum Bureau Registration Chairman oversees the voter registration process at the Tharawa Referendum Centre in Malakal, Upper Nile State. The Referendum is an opportunity for the South Sudanese people to cast their vote for self-determination, and either stay united with the Republic of Sudan or secede and form their own state. After independence on July 9, 2011, South Sudan became the 54th African nation.